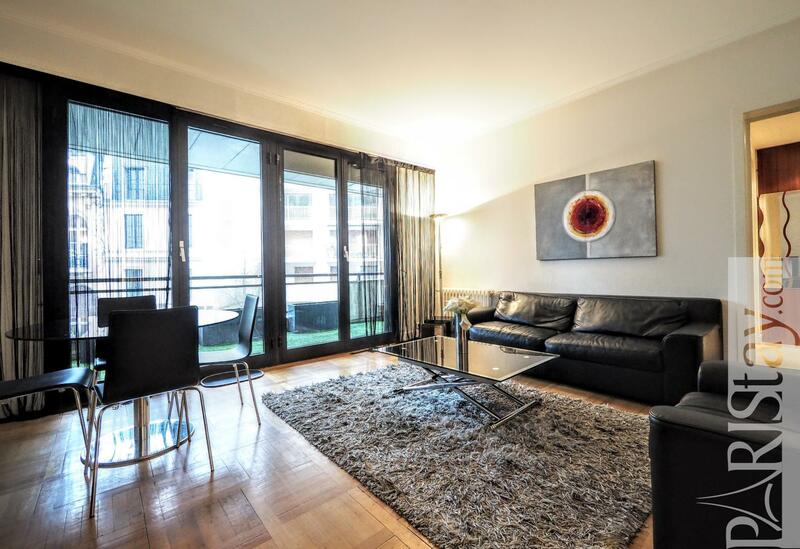 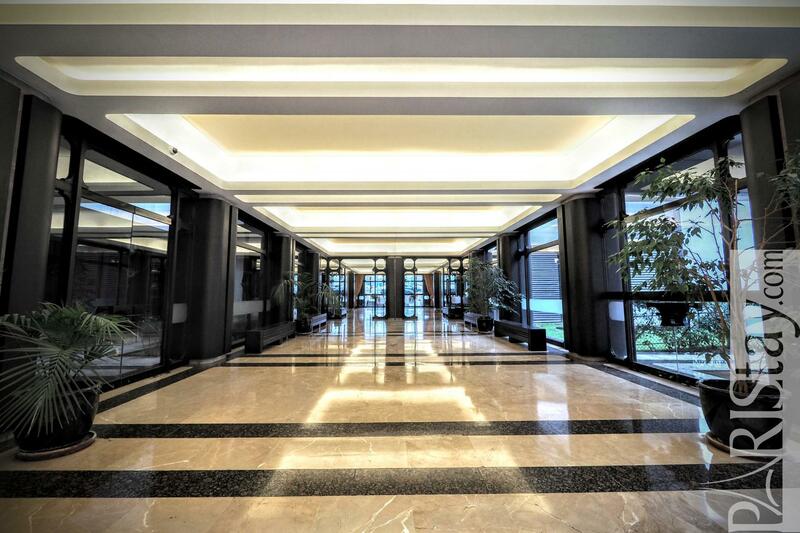 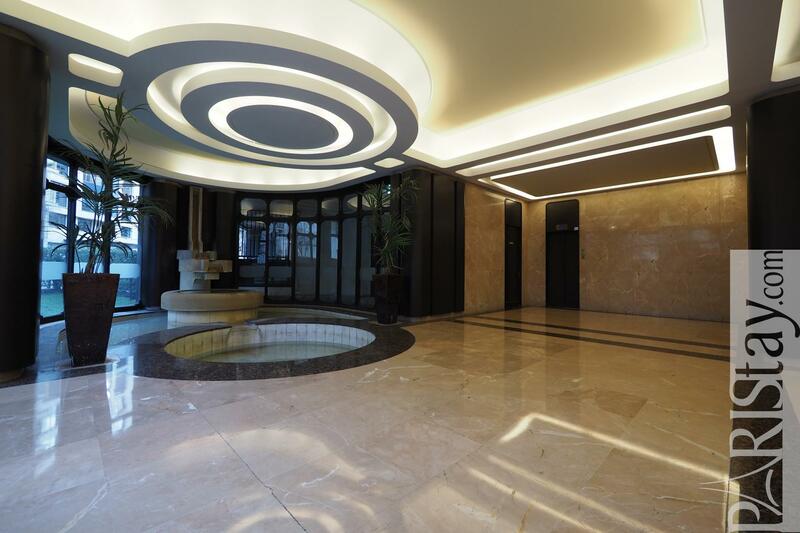 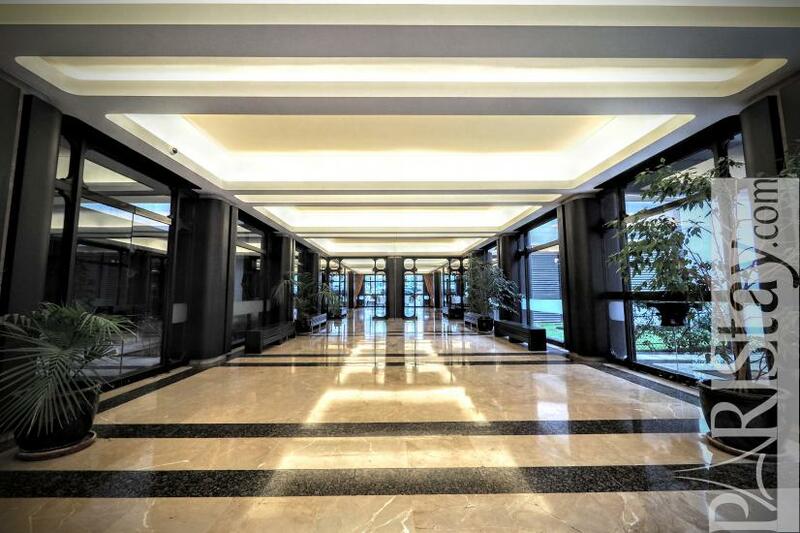 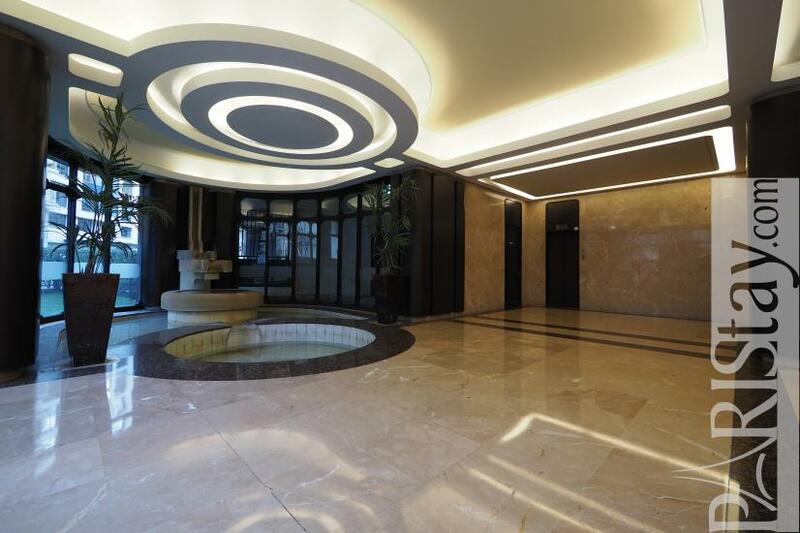 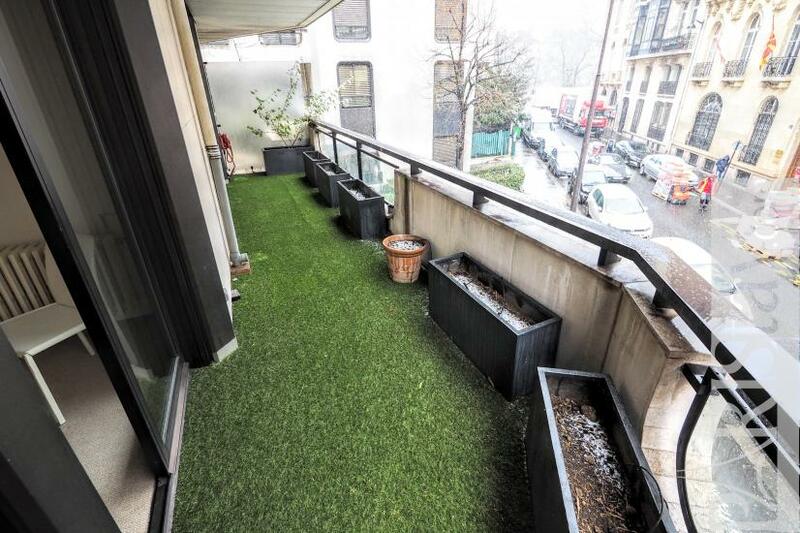 Foch avenue, luxury apartment with balcony located in a full services residence with concierge. 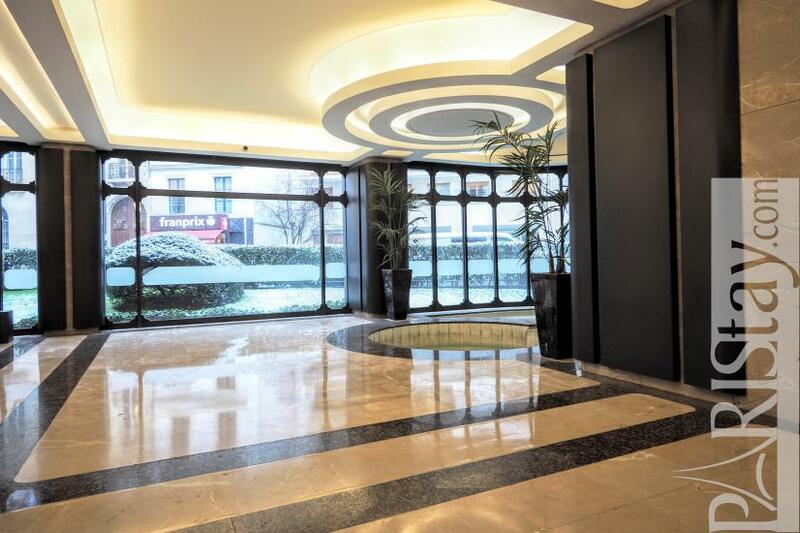 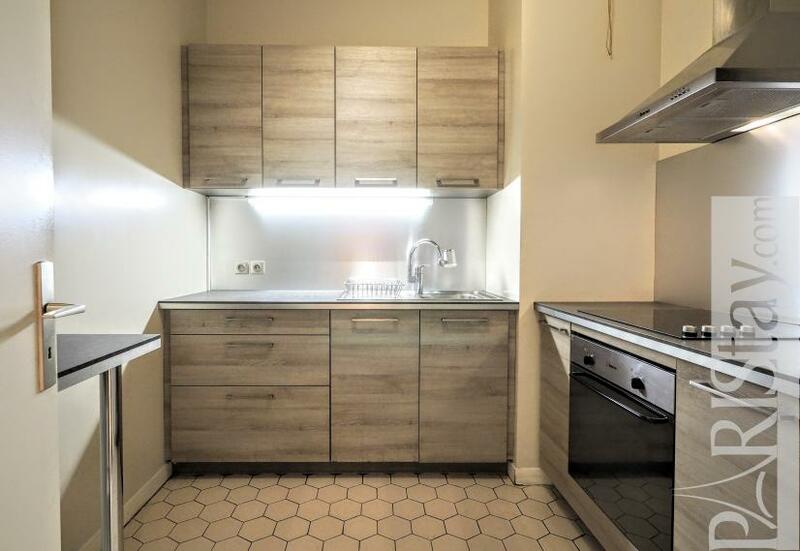 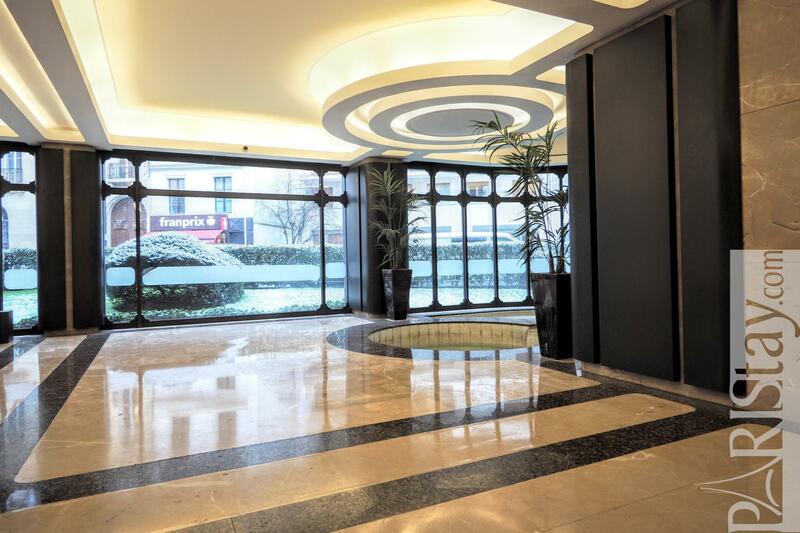 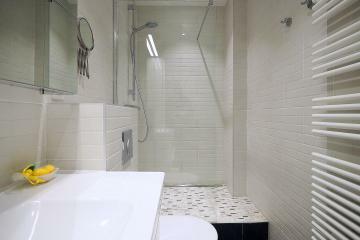 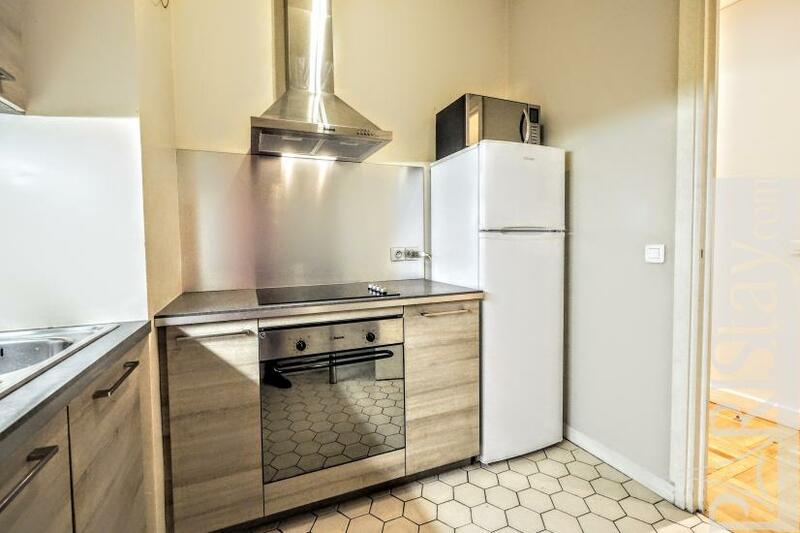 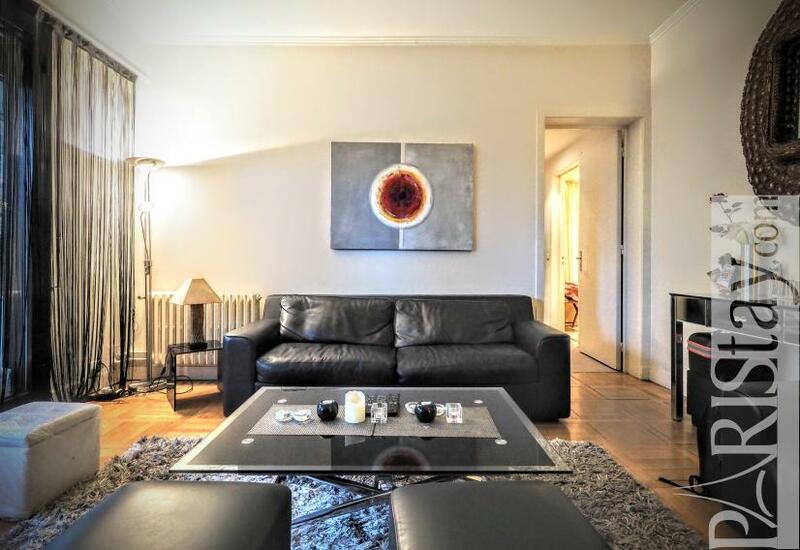 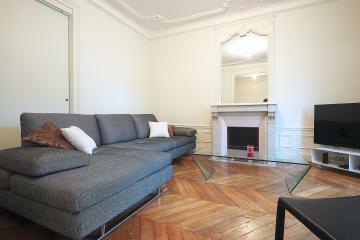 A spacious marble lobby leads to the lift, 1st floor, woodden corridor and to this fully equipped one bedroom apartment rental actually available for long term stays in Paris. 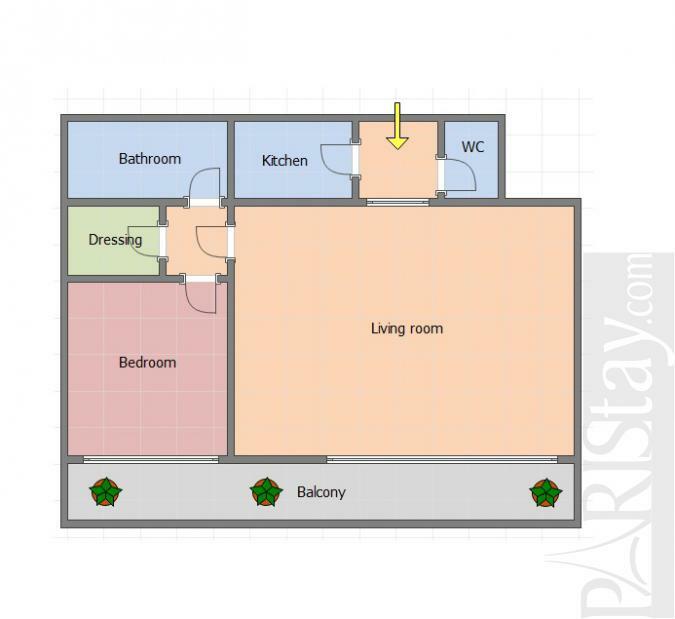 Spacious living room open to a large balcony, large bedroom with a private bathroom and a dressing, separate toilet for guests, separate kitchen, everyting has been designed and organized as a friendly Suite. 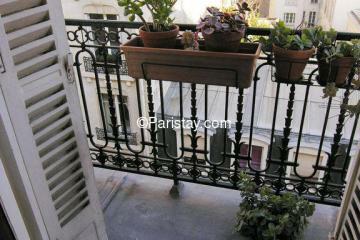 A rare place where to stay in the City of lights. 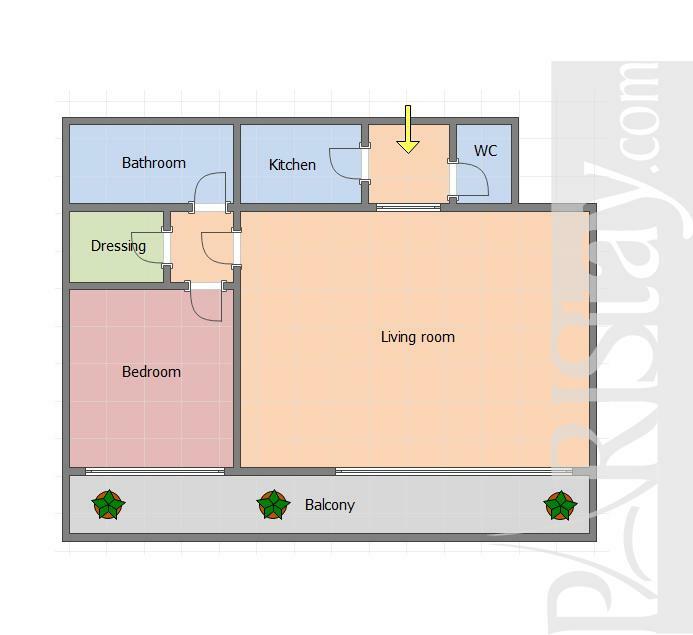 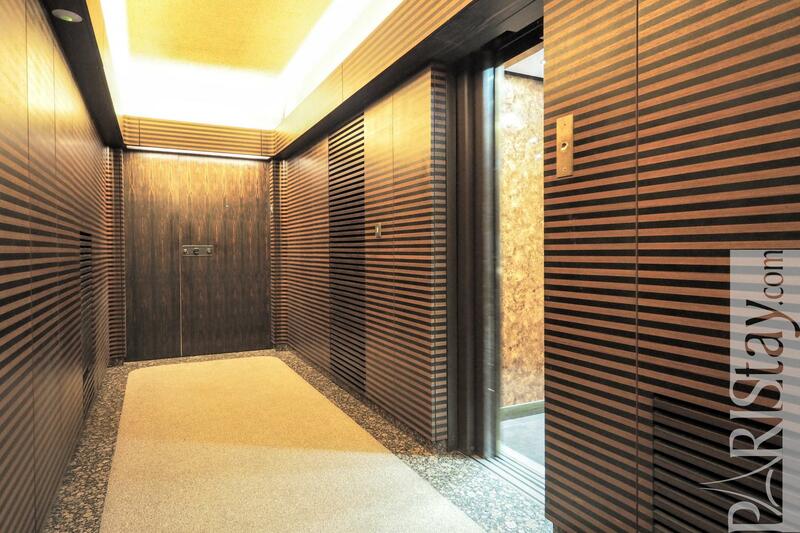 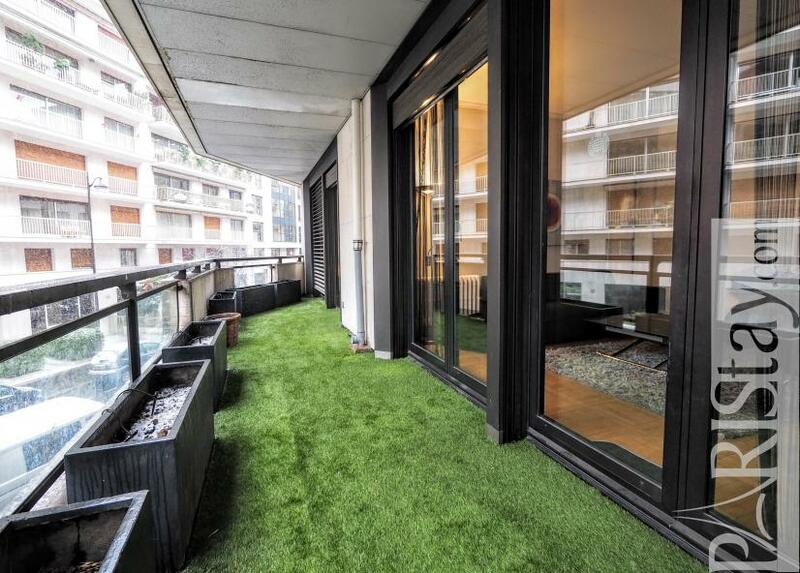 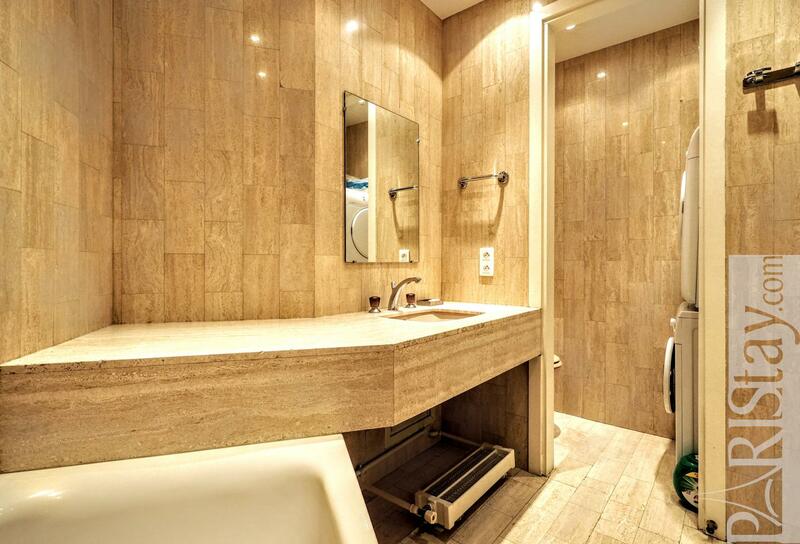 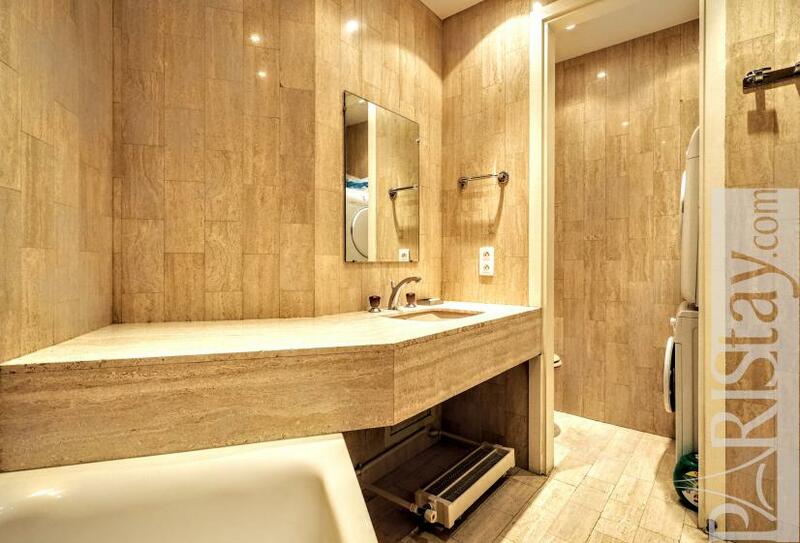 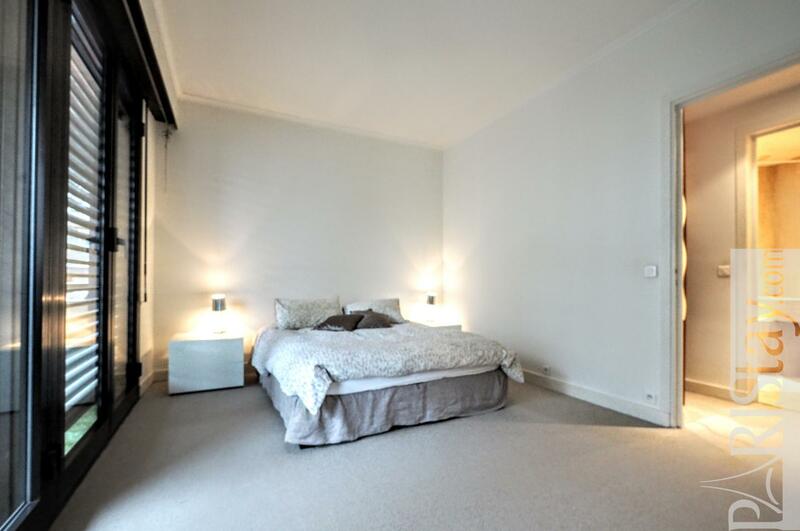 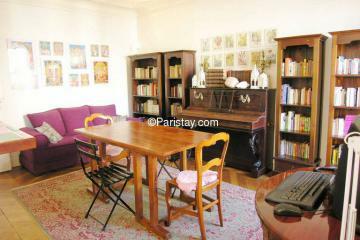 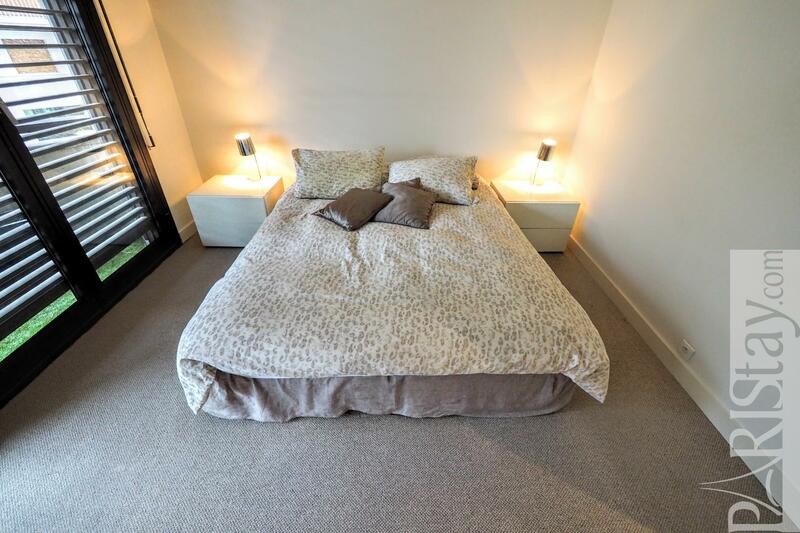 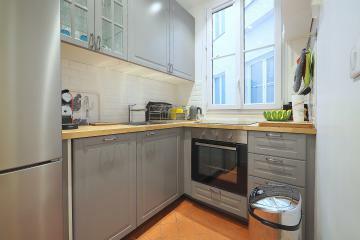 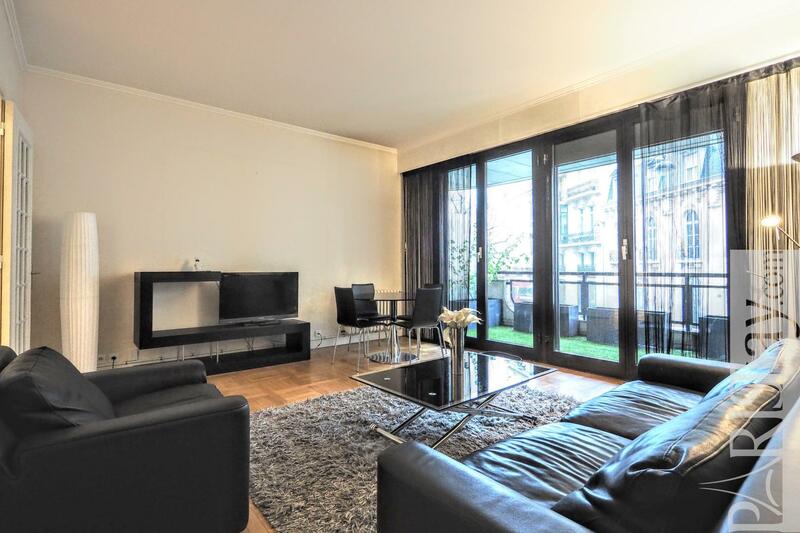 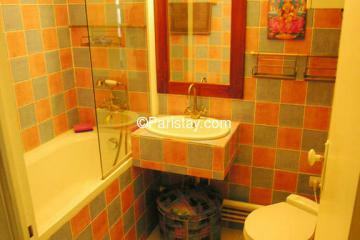 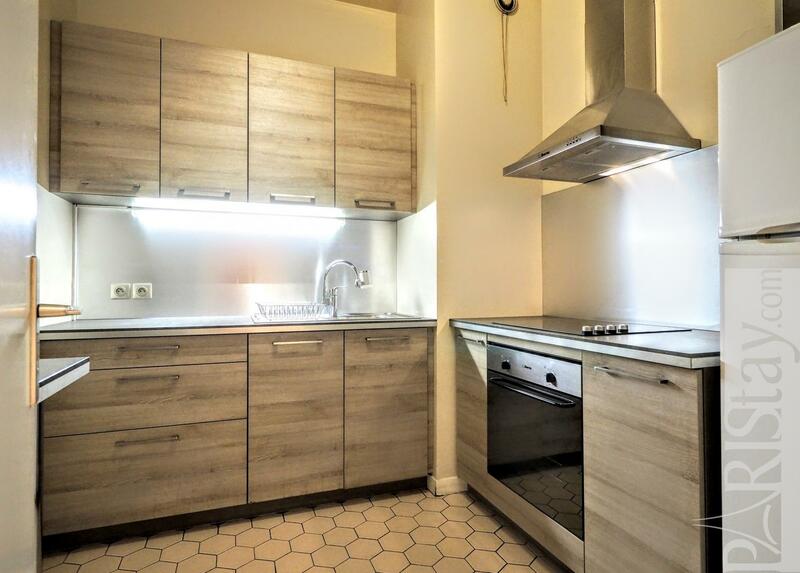 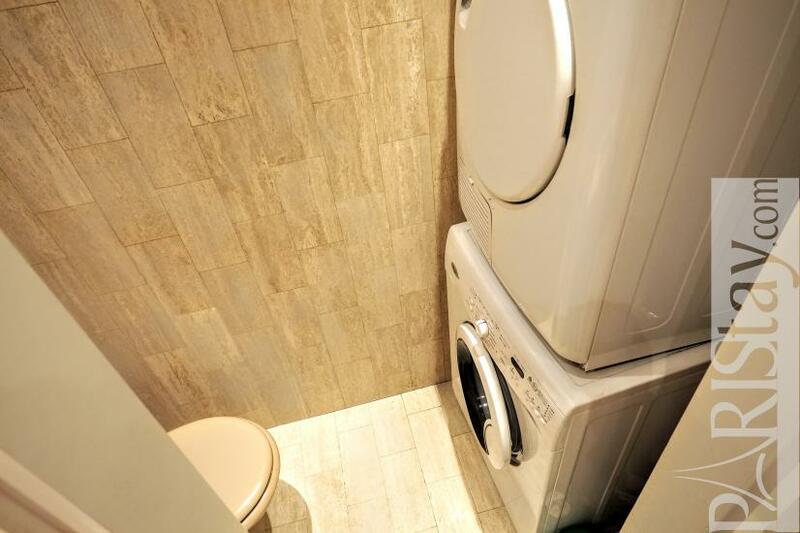 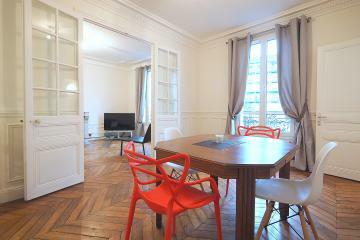 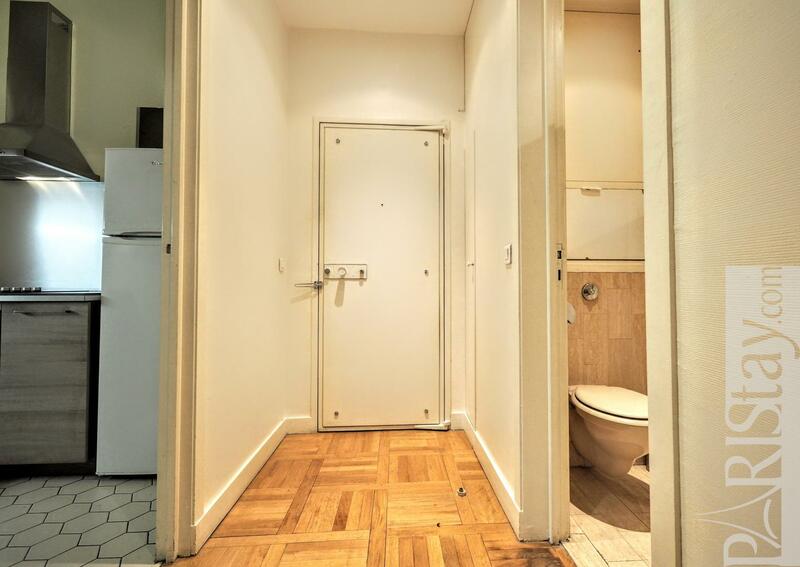 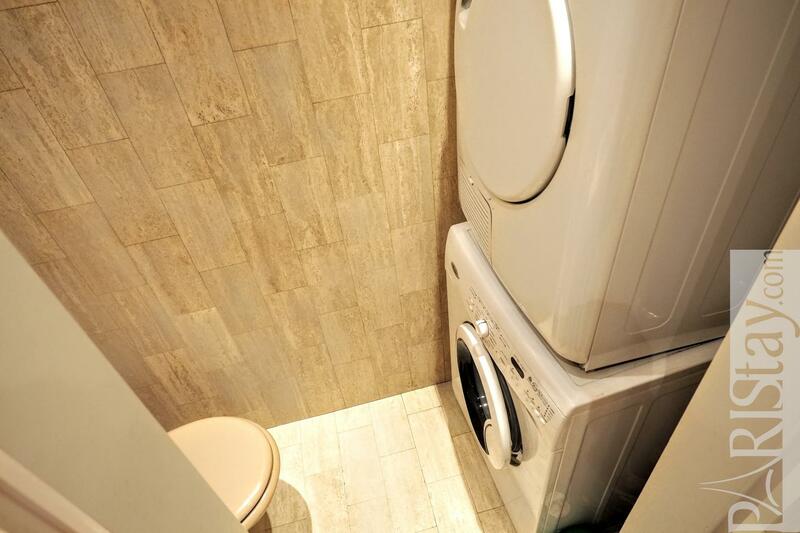 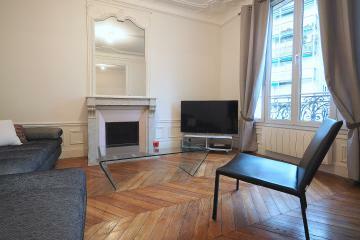 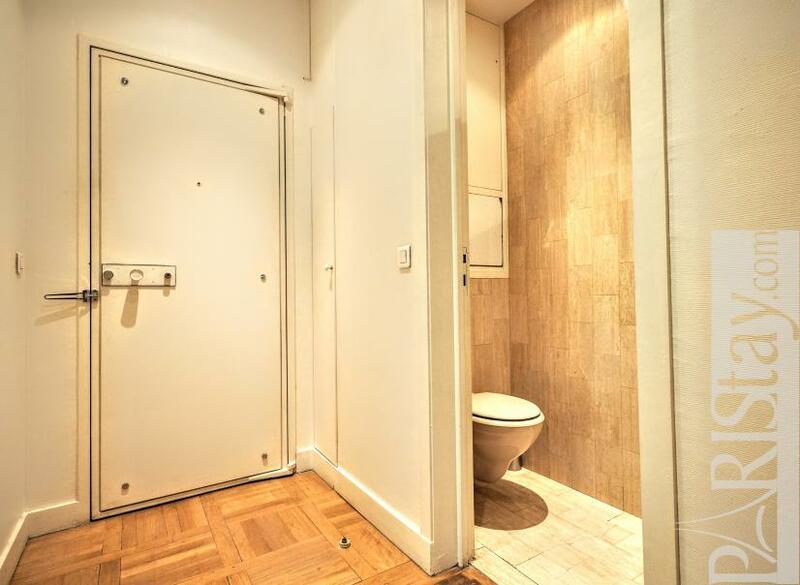 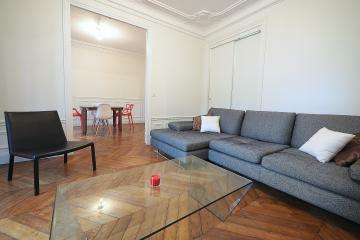 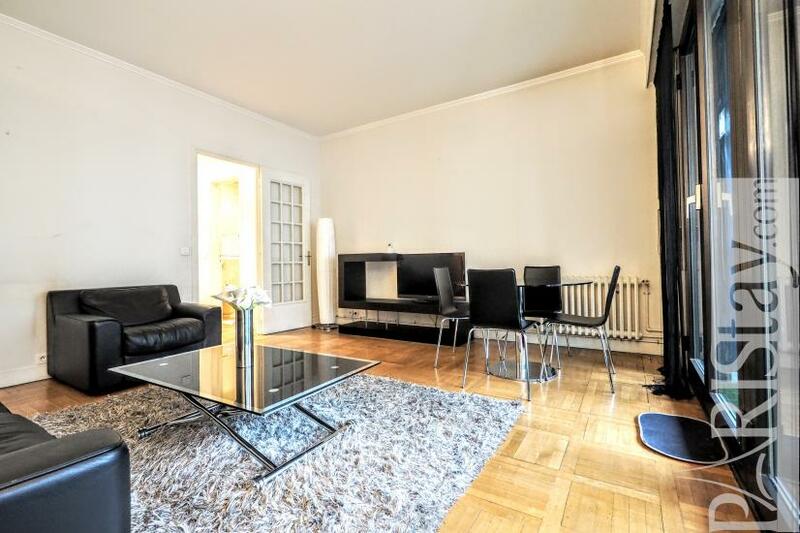 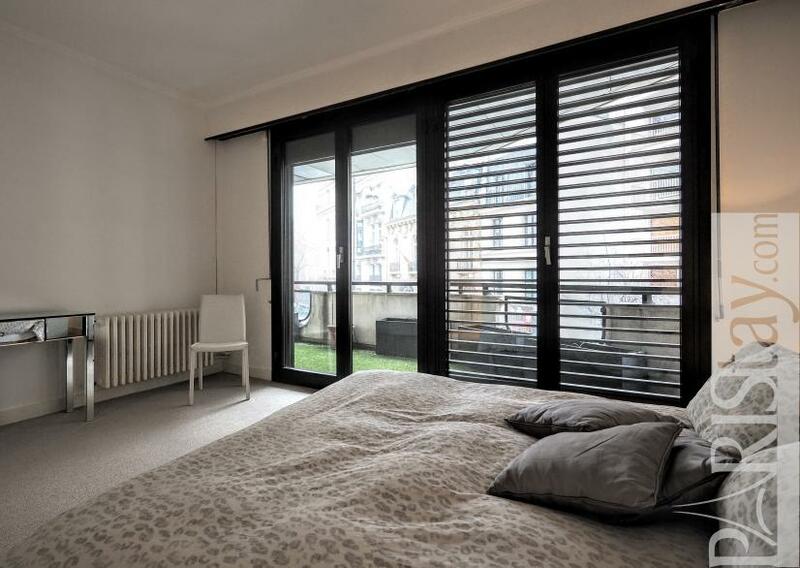 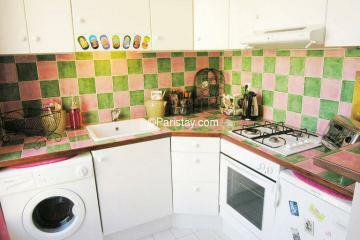 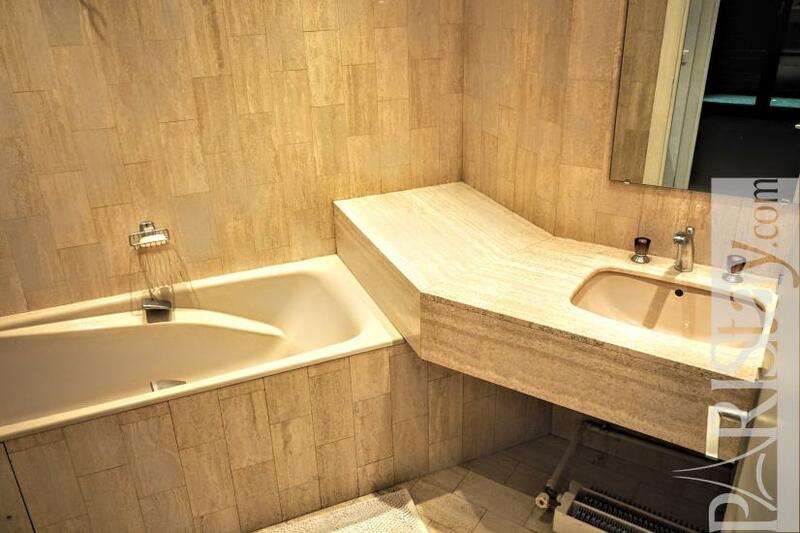 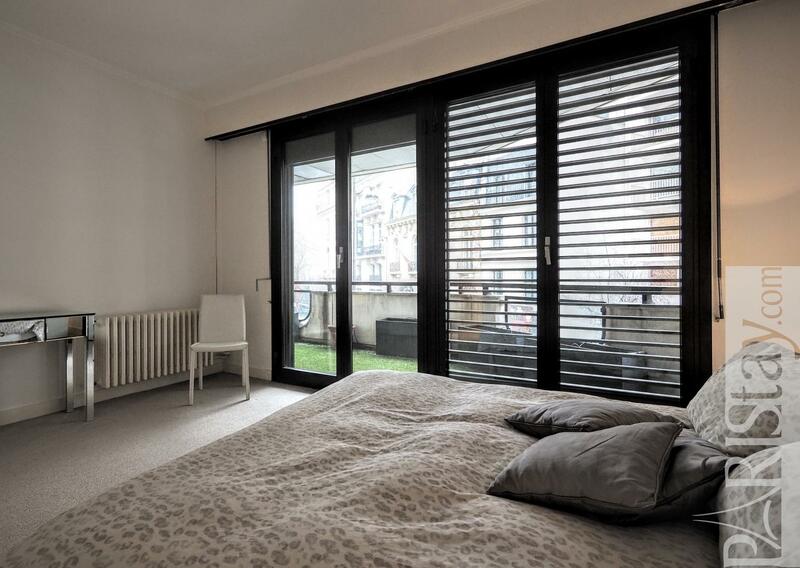 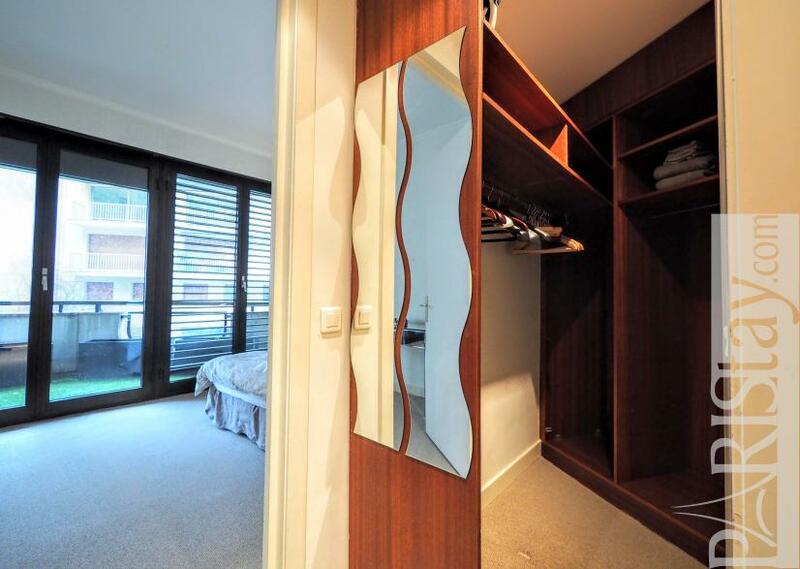 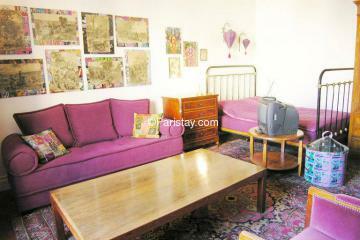 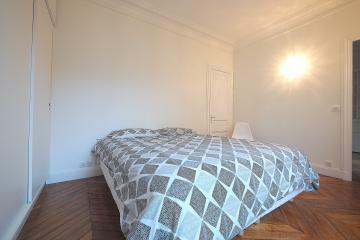 2 nd floor, with Lift, 1 bedroom Appartement, furnished, Approx: 59m² / 634 Sq.Ft.